Where in Portland should I live? Riverplace was developed at the south part of the Tom McCall Waterfront Park after the Harbor Freeway was replaced by the park in the 1970's. It's got a little marina, some restaurants, and some shops as well as apartments and condos and the Riverplace Hotel. The greenway extends north through Governor Tom McCall Waterfront Park up to Steel Bridge and, eventually, south through the South Waterfront. Riverplace has some apartments as well as the newer development of The Strand condominium complex. 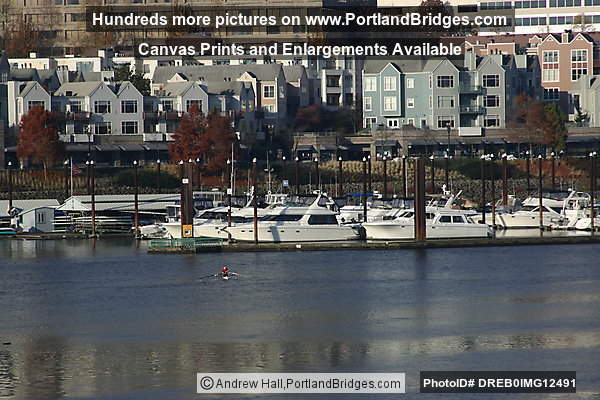 While not exactly the hub of Portland culture, Riverplace is a nice choice if you like the water, have a boat, or just like jogging along the riverfront. You can watch the Dragonboat races from here during the Rose Festival (or watch the teams practice during the year). It's also quieter and less trendy than the ultra-hip Pearl District at the other end of town. Tourists seem to wind up here, but it's got a pleasant atmosphere. 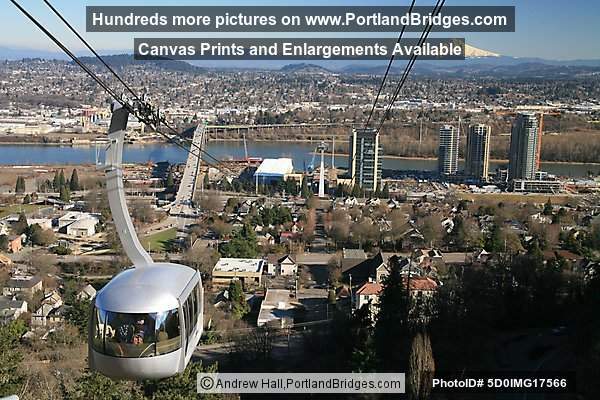 Riverplace is connected to downtown and the South Waterfront development by the Portland Streetcar; if you have some connection to OHSU, it's fairly easy to get from Riverplace to the Portland Aerial Tram at South Waterfront up to the main OHSU campus on Marquam Hill, via the Portland Streetcar or just walking/biking. The Streetcar is in Fareless Square here so it's free to ride up to Portland State University or all the way to Powell's Books - pretty handy. Riverplace is much more mature than the newer South Waterfront nearby. There are several half-decent restaurants, even a Pizza Schmizza (local pizza chain) but none of Portland's best restaurants. 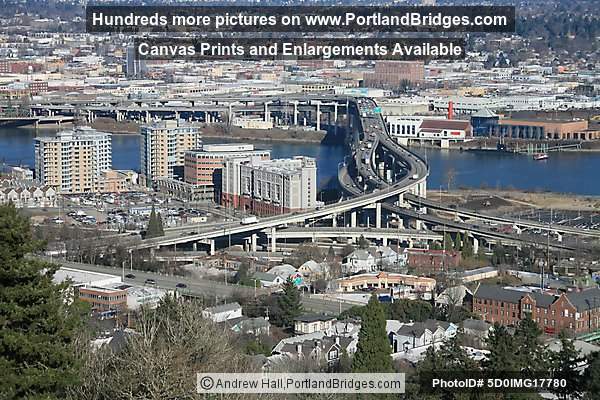 You can hike up the little hill into downtown Portland but given the hill it's not exactly a fun walk. A longer more scenic walk is right along the river. You get a front porch view of fireworks set off on Fourth of July from a barge on the Willamette River between the Marquam and Hawthorne Bridges. the Waterfront Blues Festival over July 4th weekend - one of several events held in the Waterfront Park - is the closest to Riverplace and the rowdiest. Pictures are all copyrighted by Andrew Hall and may not be used or copied without permission.